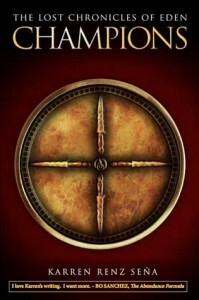 When Grace Emerson’s ex-fiancé starts dating her younger sister, extreme measures are called for. To keep everyone from obsessing about her love life, Grace announces that she’s seeing someone. Someone wonderful. Someone handsome. Someone completely made up. Who is this Mr. Right? Someone…exactly unlike her renegade neighbor Callahan O’Shea. Well, someone with his looks, maybe. His hot body. His knife-sharp sense of humor. His smarts and big heart. Grace Emerson has a little bit of a problem. Or, a big problem, but one of them was something she can’t really do anything about because it involves her younger sister dating her ex-fiancé. Grace is supposed to be all okay about it except she wasn’t, but she didn’t want her sister to feel bad about it, so she did what she does best: invent a boyfriend. She tells her family that she’s dating a Dr. Wyatt, just to get them out of her face, but it does exactly the opposite. Then enter her new neighbor, Callahan O’Shea – he’s hot, for sure, but he has a bad past, and Grace just couldn’t be involved with him. Never mind that he was funny, and smart, and he has a big heart. Never mind all that. Besides, how would he like her, even, when she literally clobbered him with a stick when they first met, and that she is dating a nonexistent doctor? So I didn’t really plan on reading Too Good to Be True by Kristan Higgins that day I opened it. I only meant to scan it, you know. Read a little, then decide if I should read it again later on. But lo and behold, soon, I was already 25% in, and I decided that I should just go and read it because I couldn’t put it down. 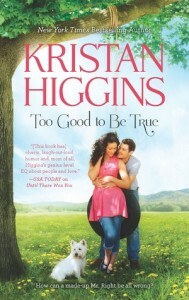 True to form, this Kristan Higgins novel had all the things that a Kristan Higgins novel has: a strong woman with a lot of dating mishaps, a guy she’s currently getting over, a smoldering hot guy that you just know is for her all along, a wacky family (with issues to boot), and finally a dog. Of course there’s a dog, and the dog pretty much steals the show for most part. This was really, really fun, and I remember being enamored by Callahan O’Shea the moment he and Grace had their meet-cute. I loved Grace for all she is – history buff, sometimes klutzy, but with a huge huge heart for the people she loves. I felt really, really irked for her when she dealt with her sister, but I also understand where she’s coming from even if I don’t have a sister. I have friends who are exactly like Natalie, and you just love them but sometimes you feel really frustrated that they get everything, even the things that were supposed to be yours. Unfair, right? But in this case, this was really a good thing for Grace, because obviously things worked out for her in the end. I liked Too Good to Be True so much that I actually finished it in two days. I think this will be in my Kristan Higgins favorites list (together with All I Ever Wanted and Somebody to Love). More, please! God must’ve had single women in mind when he invented dogs. “I need to run next door, and then head to the hardware store, Grace. Anything you need?” Cal said, turning to me. I need to be kissed. “Um, nope. No that I can think of,” I said, blushing again. Why couldn’t people be happy alone? Love took your heart hostage. Holding hands had to be one of the most wonderful things God ever invented, I thought as we went into the restaurant. A small but undeniable claim on someone, holding hands. I’ve only read one Leila Sales book, Past Perfect, and I had fun with it because it was so, well, fun. I remember really liking the setting and the characters and how it felt like such a good summer read, so I dove into This Song Will Save Your Life with the same expectations: that this will be a light, fun read, a perfect companion for my recent trip. I was wrong about the light and fun part, actually. I honestly thought This Song Will Save Your Life is about a girl who builds a playlist and all that, and the “saving your life” part was just metaphorical, a symbolism of sorts. Well, it as kind of like that, but I didn’t expect it to be so serious. In a good way, that is. Elise Dembowski is unpopular, but not because she did something. Or maybe she was unpopular because she tries so hard, too hard. But all Elise wanted was to be seen, to have friends, and when her last attempt failed, she gives up (and this was the part that shocked me and told me that this might be different from the previous Leila Sales book I read). Then Elise discovers an underground warehouse party where she meets people who knew nothing about her and calls her their friend. Ellie finds herself spending more time with them, until she gets into the DJ booth and realizes that there was something else to love about her new secret: DJing. So this book is about Elise and her quest to fit in, a secret club, and DJing. The last two were a bit unexpected, but it was only unexpected because I didn’t read the summary when I got the book; I just requested it because it was Leila Sales (and the cover was pretty). 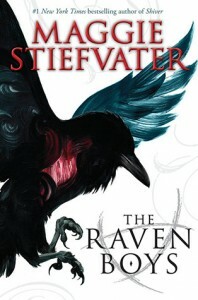 Like I said, I was surprised at how heavy this book felt at the start, at how big Elise’s problems were to her. I didn’t expect that at all, but that development was gripping enough for me to want to find out what happens next. The book was a bit slow at the start, and again, because I didn’t read the book’s summary, I wasn’t really sure what would happen. I wasn’t sure about the secret party warehouse angle at first, until the other characters grew on me and I wanted to know what would happen to them. The romantic angle made me cringe a little, and you know how when you read something like that that it was doomed from the start, and you’re not sure how to feel if it didn’t end up doomed? I had that feeling in my stomach while I was reading it. The writing was clear and vivid that I could almost feel how it was to be in that party, to dance and sing with other people as Elise changes the music, to be one with the crowd and all that jazz. And this is coming from someone who doesn’t really party. The other side of Elise’s life really hurt to read, too, and it made the contrast between her day life and her night life really stand out. It made me realize yet again how high school kids can be mean even if they didn’t intend to — how a simple act of ignorance of another person can really break someone, even if you didn’t intend to do that. There was that particularly mean action made for the sake of “postmodern art” that really got to my nerves, but I liked how it was handled in this book, and how in the end, Elise found a reason to like herself more than wishing that other people like her too. And isn’t that the point? That we be convinced of our worth, to know that it has never been tied to someone else? 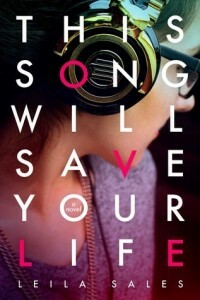 I was really liked This Song Will Save Your Life, and I think not knowing what it was about when I first read it contributed to how much I liked it overall. I didn’t end the book wanting to be a DJ, nor wanting to find secret warehouse parties, but I did end it feeling a little bit more compassionate for other people and for myself, too. And I think that’s good enough. I thought about how my back hurt from standing and my ears rang. But I also thought about how exciting it had been. How powerful I had felt, knowing that I alone had the ability to make people dance, the ability to make them happy. I’m telling you, never fall for a music man. It only ends in heartbreak. True, things don’t stay the same forever: couches are replaced, boys leave, you discover a song, your body becomes forever scarred. And with each of these moments you change and change again, your true self spinning, shifting positions-but always at last it returns to you, like a dancer on the floor. Because throughout it all, you are still, always YOU: beautiful and bruised, known and unknowable. Every day we experience the uncertainty, risks, and emotional exposure that define what it means to be vulnerable, or to dare greatly. Whether the arena is a new relationship, an important meeting, our creative process, or a difficult family conversation, we must find the courage to walk into vulnerability and engage with our whole hearts. I first heard about Brené Brown from one of my favorite personal blogs, and there I found her TEDx talk on vulnerability and shame. From then on, I was a fan, and I really wanted to read her book that talked more about vulnerability. I considered my 2013 as a year of learning about vulnerability (besides learning how to be brave), and I thought that it was such a mind-blowingly simple thing, this vulnerability. I mean, it’s simple because it’s all in us, but it’s also possibly quite the hardest thing anyone will ever allow themselves to be. But it’s necessary, right? 2013 came and went, and it was a rollercoaster of a year for me. Sometime near the end of the year, I decided that I was going to make Daring Greatly one of the first books I will read in 2014, because the end of 2013 kind of steered me in that direction. So when 2014 rolled around, I opened the book and started reading. 10% in, and I was already learning so much, that I wondered why I didn’t try to read it earlier. I mean, this could have helped me deal with life things back then! On a serious note, Daring Greatly is a book that dares us to dare greatly. If you’ve watched her TEDx talks, this book is pretty much an expanded edition of what she said there. 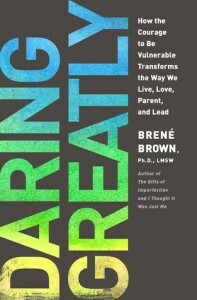 Daring Greatly: How the Courage to Be Vulnerable Transforms the Way We Live, Love, Parent, and Lead is about how we can practice vulnerability and cultivate shame resilience in our everyday lives so we can dare greatly and help others to do the same. Using comprehensive research on shame (the one she talked about on the video — yes, this is me urging you to watch that video), Brené talked about her personal experiences and the results she received from interviews and surveys that shed light on shame and how it is to be the “man in the arena”. I loved this. Like I said, 10% into the book, I was already nodding and noting and highlighting so many parts, because they rang true. These were the things I was trying to learn myself last year, and the things I tried to practice. These were the things I desired to have with practicing vulnerability. I loved how open and relatable this was, and I could feel that the writing itself was very vulnerable, with the way Brené shared bits of her life and research in the book. And it’s compassionate, too, because even if some parts hit hard — as in, I can’t believe I didn’t do this, I’m so stupid, la la la — she always brings you back to the fact that our mistakes don’t make us. We may make wrong choices, but it doesn’t tell us what we’re worth. I enjoyed reading this for the most part because it’s not just a self-help book, but also a book packed by research. Brené even talked about her research process at the end of the book, and you she knows what she’s talking about. It’s so refreshing to read this, and find someone openly discussing something that we all want to be (even if sometimes we didn’t think we want it). I really enjoyed the chapters on debunking vulnerability myths, and that chapter she named after Harry Potter. :D (Because when you think about it, shame is like a dementor.) I think I just sort of spaced out with the vulnerability in a corporate setting (which is funny because I should be interested in that given that I live in corporate world). The parenting section was interesting even if I’m not a parent, and you know that these are just the things you want to note for when you have your own kids. So overall, I really liked this book, and I was glad that I read this to start off my 2014. I really liked Brené’s Final Thoughts in the book, about that guy who was inspired by Brené’s TED talk, and decided to tell the girl he was dating for several months that he loved her. He got rejected. Vulnerability is the birthplace of love, belonging, joy, courage, empathy, and creativity. It is the source of hope, empathy, accountability and authenticity…to let ourselves sink into the joyful moments of our lives even though we know that they are fleeting, even though the world tells us not to be too happy lest we invite disaster – that’s an intense form of vulnerability. The willingness to show up changes us. It makes us a little braver each time. Only when we’re brave enough to explore the darkness will we discover the infinite power of our light. Yes, softening into joy is uncomfortable. Yes, it’s scary. Yes, it’s vulnerable. But every time we allow ourselves to lean into joy and give in to those moments, we build resilience and cultivate hope. The joy becomes a part of who we are, and when bad things happen — and they do happen — we are stronger. Shame hates having words wrapped around it. If we speak shame, it begins to wither. Don’t try to win over the haters; you’re not the jackass whisperer. Sometimes the bravest and most important thing you can do is just show up.